The prices for Brent crude have fallen below $40 a barrel, for the first time in seven years. With no room for manoeuvre, and little prospect of a marked recovery in the oil market in the near future, Russian oil companies are, perforce, postponing the development of fields. With global crude oil prices continuing a downward slide, Russia’s embattled oil companies are being forced to further tighten their belts as they attempt to plan their budgets for 2016. The lack of resources means that planned development projects are being put on hold. Brent futures for January were trading at $40.44 a barrel on Tuesday, December 8 but, during the day, the price dropped to $39.85; oil had fallen for a second consecutive session: On December 7, quotes fell by 5.3 percent, the next day, by another 0.7 percent. OPEC's refusal on December 4 to fix the level of production within the cartel's traditional quotas is the reason behind the declining prices. The lack of an established limit could mean that next year will see even more oil coming to the market from OPEC countries, including sanctions-free Iran, reports Bloomberg. 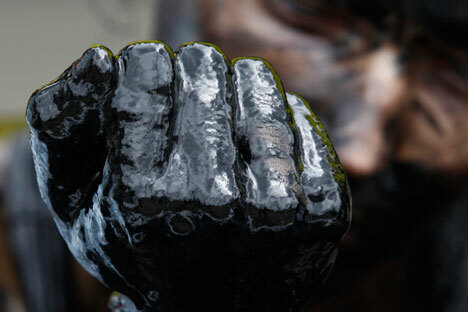 The average price of Urals crude has stood at $52.16 per barrel since the beginning of 2015. On December 8, it fell to $38.34. According to the Ministry of Energy, the economy of Russian companies allows them to earn if the price of oil is below $50 a barrel. But with the current tax system and oil prices, they have no resources or incentive to invest in new fields. Large companies have already decided to freeze projects, with Russia's largest oil producer Rosneft making adjustments to the timetable for developing nine fields. Rosneft President Igor Sechin said, as early as at the St. Petersburg economic forum in June, that existing oil prices (a barrel of Brent was about $63 at the time) do not provide oil producers with a steady return. To avoid another price shock and critical financial losses, the cost of oil, according to him, should return to $80 a barrel. But in late November, Sechin said he did not expect a market recovery before the second half of 2017. A spokesman for Rosneft did not elaborate on what price it is setting for next year's budget, on December 8. Lukoil is drawing up its 2016 budget based on a "conservative forecast" of $50 a barrel, vice-president and co-owner Leonid Fedun said in late November. But oil producers could protect their investments and explore new fields, including the Arctic, if prices return to the range of between $65 and $90 per barrel, said company CEO Vagit Alekperov. Among other Russian producers, Gazprom Neft is adhering to a conservative approach and setting a price of $45 per barrel for the next three years at once, said Chief Financial Officer Alexei Yankevich in November. RussNeft also came up with the same forecast; $45 per barrel and 70 rubles per dollar, the company's owner Mikhail Gutseriyev said in an interview to Russia 24 TV on December 8. "Due to exchange rate differences and a tax manoeuvre, we are operating almost on the verge of profitability. We hope to make a profit after 2018," he said. Bashneft had the most optimistic forecast, with the company drawing up next year's budget based on a price of $60 per barrel, financial director Alexei Lisovenko said, reporting on the third quarter. Russian oil companies are being assisted by the ruble rate, which is falling in tandem with oil prices, and flexible tax rates; on average, companies break even at an oil price of around $30 per barrel, while this threshold is even lower for Rosneft and Bashneft – less than $20 a barrel, Merrill Lynch analysts outlined in their November report. The critical level for foreign majors such as BP, Total and Eni, according to the bank’s calculations, is a fall in prices below $60 a barrel. The baseline scenario of the Economic Development Ministry for 2016 expects the price of Urals oil to be $50, while the conservative forecast pitches prices at $40 per barrel. According to the conservative scenario, crude oil will stay at $40 until 2018. Falling oil prices is a long-term trend associated with the loss of the key driver in the oil market – demand from China, said former finance minister Alexei Kudrin, now head of the Committee of Civil Initiatives. According to Kudrin, oil will remain below $50 per barrel after the 2018 presidential elections, and this will be an incentive for reform. Full article in Russian in RBC Daily.